It is often very difficult to sell a piano for value from a private home. Most customers are comfortable buying from a dealer who can offer financing, warranties, delivery, pre-sale reconditioning and preparation, etc. Then how do you sell a piano and buy a better one? We will evaluate your piano and give you a fair trade-in value. 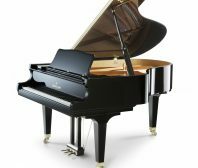 It is in our best interest to offer you the most value for your used piano in order to allow you to get not only a better piano but a piano of your choice.